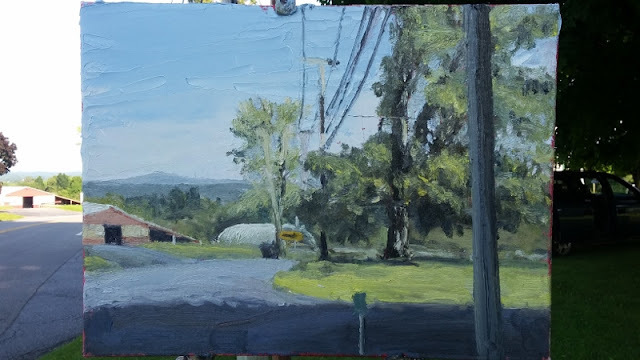 Matt Chinian Painting Blog: Bacon Hill, a view and a friend! 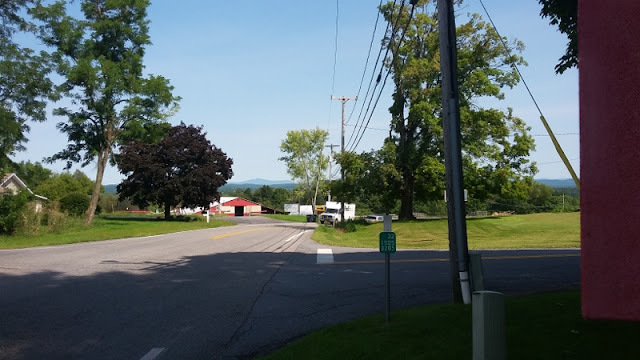 Looking south down State Route 32 at Grange Hall Rd. 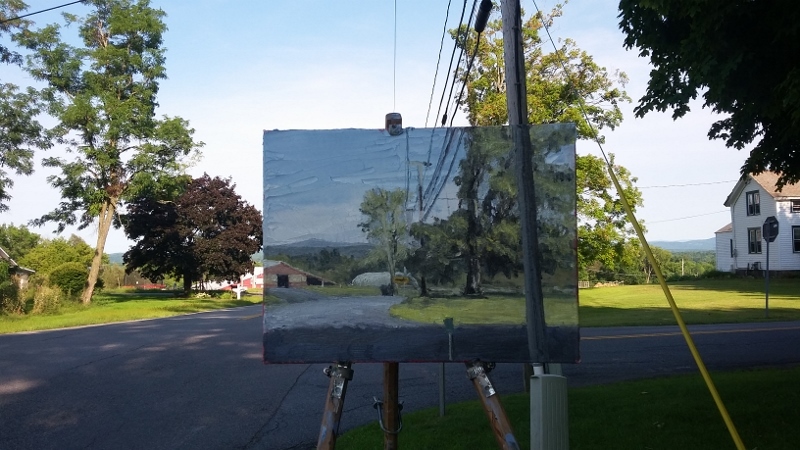 in Bacon Hill. The road goes down to the Hudson River and to Schuylerville. There were some nice shadows and the far hills and mountains. 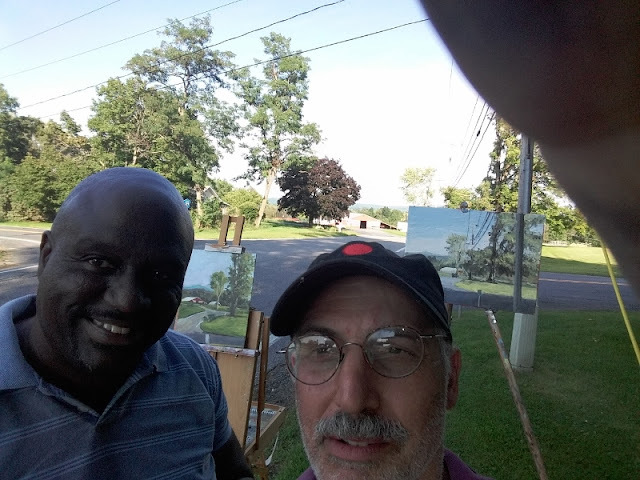 This is my friend, Ken Wilson, we drove around the countryside a lot before we got to this spot, and it was a great painting day, beautiful light and perfect temperature, we had a great time!